The Sari Shop follows the life of a Ramchand, a shop assistant in Amritsar (which wikipedia tells me is in Punjab, India). His day-to-day life might seem repetitive – as he wakes up in the morning, washes himself, is usually late to work and has to show saris to customers at work, eats a quick lunch and back to work, and the evenings he’d usually just spend staring at the ceiling, and on Sundays he’d go and see a movie in the cinema. However Ramchand’s life is about to change, as he decides that he will try to read and write English every evening. In addition he is getting extra assignments at work, to go and show saris to the rich Kapoor family, whose daughter Rina is about to get married (and has a role to play further on in the story), or go fetch his colleague to work. But while he is trying to improve himself, he also finds out more about his work colleagues, especially about Chander, one of his older colleagues, and about his wife Kamla, who he once sees, when he is sent out to find Chander who hasn’t turned up at work. Kamla is drunk and saying all sorts of obscenities. And this is where the novel’s mood changes, and we’re in for a surprise (not too nice one) ending. The book was interesting, and the second part of the novel, which gives a lot of background information about Kamla reminded me of the writing of Fyodor Dostoyevsky – showing the miserable life and living conditions of the working class, and what humans might become or do under pressure. An interesting look at life. 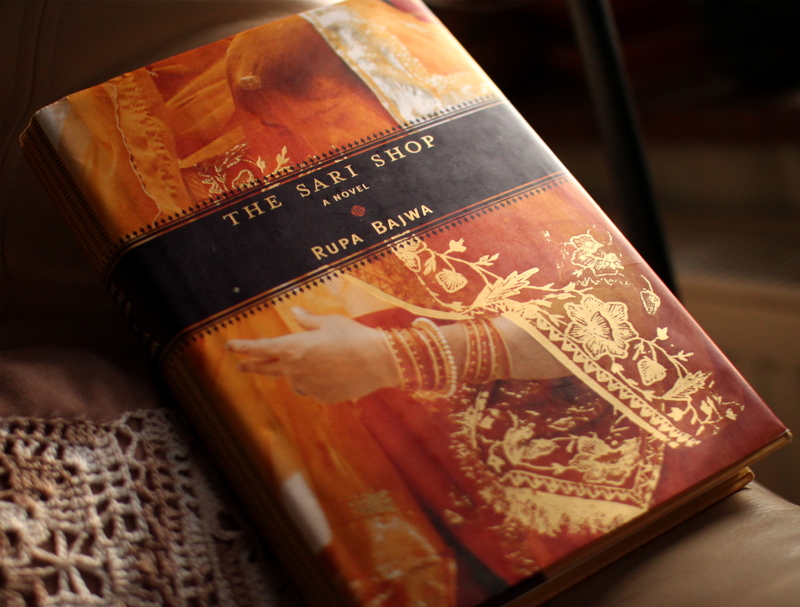 This entry was posted in Fiction, Indian literature and tagged book review, books, India, Rupa Bajwa, The Sari Shop. Bookmark the permalink. How do you zero in on books to review? Are you on Goodreads? Usually I just search for lists of something like best novels by Indian authors or books about Palestine-Israel conflict, etc. Mostly it leads to goodreads, sometimes it doesn’t, but I do find interesting books to read.